Here at CFCnet.co.uk, we are pleased to announce that we will be running a fantasy football competition for the the Gameweek 9 fixtures with www.FootballFanager.com. 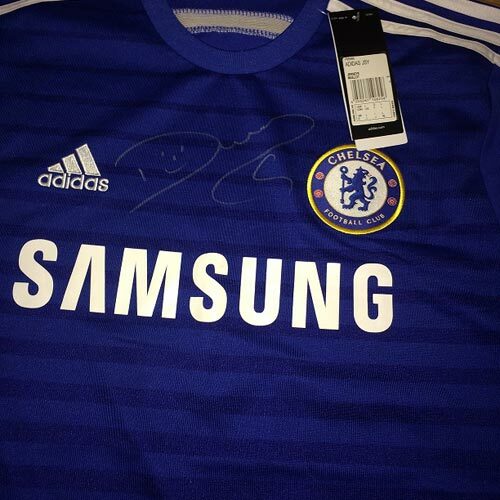 Entry is completely FREE and one lucky winner will walk away with a CHELSEA 2014/15 HOME SHIRT SIGNED BY DIEGO COSTA! So how do you enter and what’s it all about? Well, the format of the game is very similar to the standard Premier League fantasy football (FPL) that the majority of people play. You have a budget of £250m to pick 11 players for your team (yes, 11 players – not a 15 man squad!). Transfer values are based on real market values – no more arbitrary fees that are designed to prevent you selecting all the players you really want! Your selected players then score points for goals, assists, clean sheets and lose points for receiving cards, conceding goals (defenders and goalkeepers only) missing penalties and so on. You will also have a captain pick that will score DOUBLE POINTS. The league is completely free to join and will commence 15 minutes before kick-off of the first game of GAMEWEEK 9 on 25th October 2014 (West Ham United v Manchester City – 12:45pm), ending after the last game of the weekend on 27th October 2014 (QPR v Aston Villa – 20:00pm). This means there are a total of 10 games in which players can contribute points to your teams tally. As the competition last for just 1 Gameweek and each team play just once, there are no transfers to think about – once your team is locked in on the 25th that’s it, sit back and watch those points roll in! To get involved in this fantastic opportunity to win a signed Diego Costa shirt and prove your unparalleled football knowledge at the same time, simply click on the banner below to be redirected to the league signup. It couldn’t be easier to enter a team, simply follow the instructions by selecting your formation, starting 11, captain and team name and that’s it, you’re in! – Good Luck! For those that are still unsure or are looking for the inside scoop on who could be GW9’s hot property to get you those crucial points, head on over to the website where you’ll find a further breakdown of the rules and insightful analysis into this weeks in-form players. Remember, you can make unlimited changes to your team up until 12:30pm on Saturday 25th October, so don’t leave it until the last minute and run the risk of forgetting. Get a team in now and tinker around with it right up until the deadline. Don’t be the one left rueing that lie in on a Saturday when you run out of time and miss out! Head over to www.FootballFanager.com – Register for your FREE account and when promoted to join a league, click the JOIN button next to the ‘WIN A SIGNED DIEGO COSTA SHIRT’ league name. Next articleSolanke to start on Sunday?